Sometimes a simple shoot can wind up your favorite. I love when the weather clears un-expectedly and I'm able to put together something fun last minute. When the sun comes out in November here in Oregon, all the photographers emerge, groggy eyed like vampires ...cameras in tow. This last minute portrait shoot with Malaika was no different. Sometimes I see something so beautiful that it haunts me. My husband and I were traveling in Bend, Oregon when we drove by Smith Rock State Park...and I was astonished at how other worldly the landscape was. I just knew I had to photograph something, anything, in the midst of the gorgeous scenery. 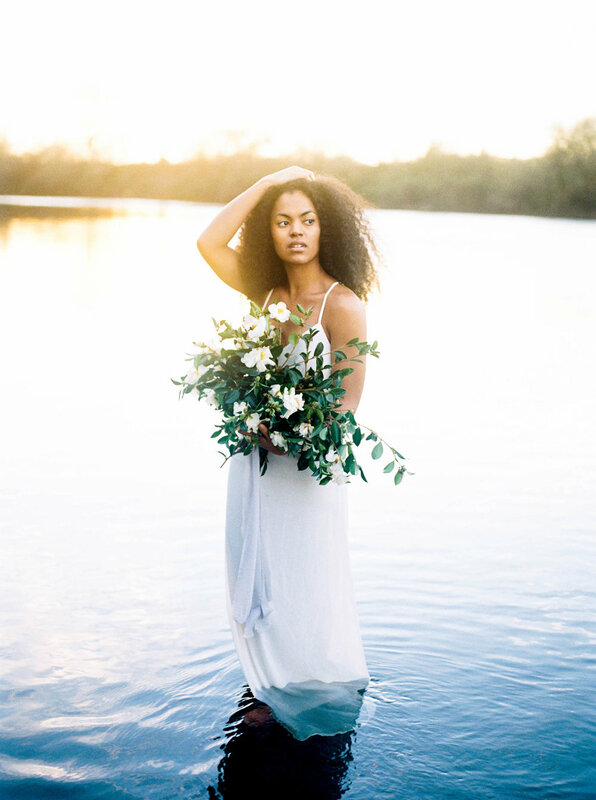 Last summer, I had the honor of photographing Lindsay Helzer Floral Design's brand shoot. Lindsay's florals have a unique edge and she is not afraid of color. All her work, (even the softer palettes) have a pop to them that is so fun to be inspired by. So imagine my delight when I was offered the opportunity to create a full brand identity for her with all that beauty in mind. Lindsay was actually featured on the cover of Magnolia Rouge this year -- you can see that full shoot from her and Cassie Roch HERE. I'm gearing up to photograph Lindsay and Shawn's downtown portland January wedding in just a week or so and I could not be more excited. This couple have such a warm and fun dynamic together on camera and I'm sure it's going to be a fantastic day. Over the summer we did a little hike to Government Cove, a secluded space in the Columbia River Gorge. The dramatic sunset environment was the perfect space for their engagement photos. Styled shoots can be a lot of work and sometimes there just isn't enough left over in my budget for the year to plan anything elaborate after workshops and equipment upgrades. That being said, I used to become bitter and jealous and say things like "I don't know how all these photographers do styled shoots all the time." The truth is there is always a way to create with the tools you have in the moment. The final wedding shoot of the Forage + Fern workshop (that I took part in) took place in a cove of sorts - there was just enough wind to create beautiful movement in the amazing Leanne Marshall gowns and the ocean took on a deep blue color. The algae that washed up on shore was deep emerald creating a very fairy-tale like environment. To be honest, during this part of the workshop I found myself a little anxious and distracted, worrying about some things at home that I had to face when I returned. I did not shoot as much as I usually would have, but instead tried to let the experience wash over me (no pun intended). I recently attended the gorgeous Forage + Fern workshop hosted by Magnolia Rouge. 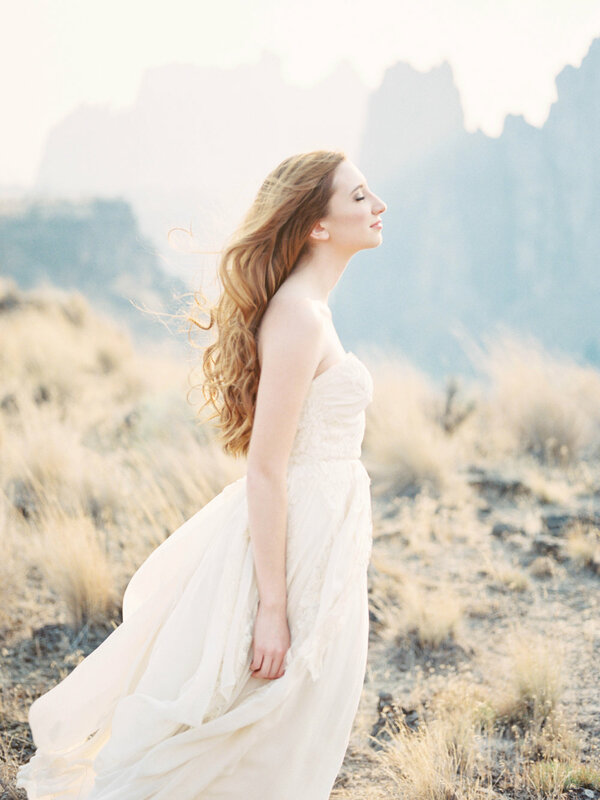 This lifestyle session is dripping in Pacific Northwest beauty - it was really fun to be able to celebrate the natural part of the world I love so much. 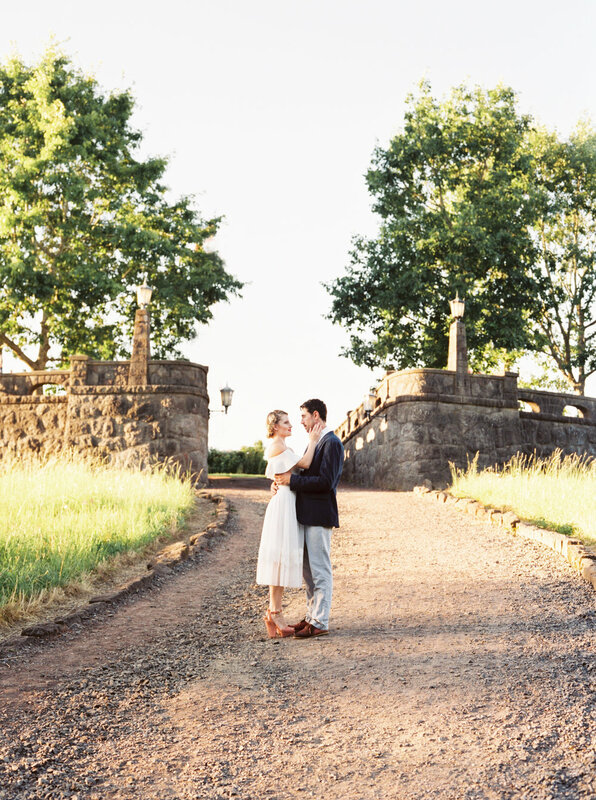 I am excited to share this real engagement session that is infused with lots of romance and golden light! Even more exciting is it is featured on Magnolia Rouge, I could not be more pleased that they chose to publish this session that brought me so much joy to shoot.